WASHINGTON, March 8, 2019 /PRNewswire/ -- As the nation approaches the 16th anniversary of the war in Iraq, combat Veteran and U.S. Senator Tammy Duckworth (D-IL) will speak at a National Press Club Headliners Newsmaker on Wednesday, March 13 at 12:30 p.m. about what she believes our nation owes its service members and Veterans, and how she feels Congress is failing in its duty to provide our troops with the moral and legal backing they need and deserve to most effectively wage war. 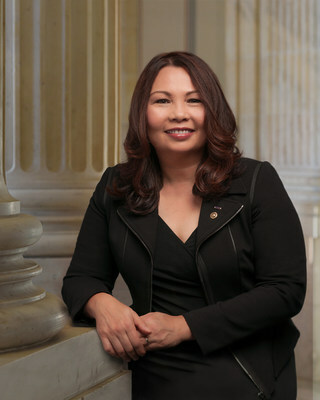 In her remarks, Duckworth will lay out her vision for how we can ensure our military remains the strongest in the world. She will argue that we can no longer view our national security interests as separate and distinct from our domestic policies, and will make the case for investing in progressive priorities like healthcare, education and green energy as a means to bolster our national strength and better serve our military readiness. This news conference will take place in the Club's Holeman Lounge, and is open to credentialed media and members of the National Press Club, however registration is required. Please click here to register. The National Press Club is located on the 13th Floor of the National Press Building at 529 14th St., NW, Washington, D.C.